Last week I shared some of my favorite Talk Clean To Me blogs. One of them “Mommy, this water tastes funny” was based on a true story that happened to my friend. It was a situation where bleach had been put into a water bottle and not labelled. My friend’s son took a sip, he was lucky. This week, as I was scrolling through the various news feeds I get I came across an article from the UK where an elderly woman had passed away after drinking cleaning fluid that was left in her room in the same type of container that the hospital used to provide water to patients. Again the container was not labelled with any information as to what it contained. What made this situation even more frustrating is the fact that management at this facility missed an opportunity to learn and disseminate lessons from a 2016 incident on the same floor of the hospital involving the drinking of cleaning fluid. 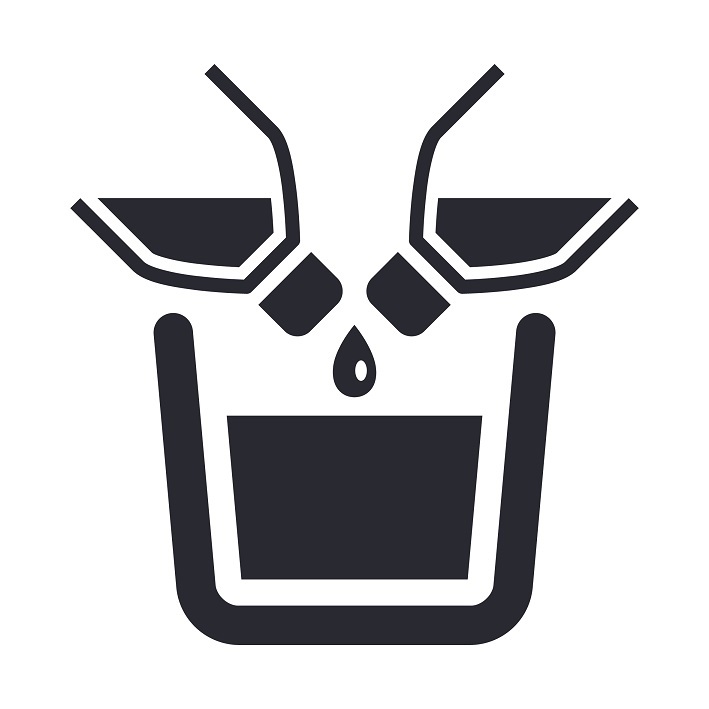 Similar to the potential adverse effects of consuming chemicals, mixing chemicals can be deadly. As noted in my Top Disinfectant Offences for 2011 blog, Custodial Chemists are one of my favorite but perhaps most frustrating groups. This group of people believe that if they mix different products together they can make a better product, simplifying their job or with the addition of “odor neutralizers”, masking odors that have been left behind by improper cleaning procedures. They’re my favorite group because I have the opportunity to educate, but they are frustrating because the discussion often happens after an incident. Mixing chemicals deeply concerns me because it can often be deadly. An example that sticks with me is one that happened about a year before I started working in the cleaning and disinfection industry. I remember it so vividly as it happened close to where I live. In 2002, Gloria Lucas, a caretaker who worked at a school in Toronto died on the last day of school. Ms. Lucas died of acute chlorine gas intoxication after a corrosive chlorine gas was released as a result of mixing a toilet-bowl cleaner and a bleach-based cleaning product. I cannot stress the importance of labelling cleaning and disinfecting products and to never mix chemicals together unless you have very clear instructions to do so. Cleaners and disinfectants are chemicals. They can cause harm and in some cases can result in death. Any time a product is taken out of the original container and put into a secondary container it MUST be labelled so that it can be easily identified and under NO circumstances should chemicals be mixed unless their label instructions specifically state this is to be completed and how to do so. Please stay safe. Please use cleaners and disinfectants as manufacturers meant them to be used. 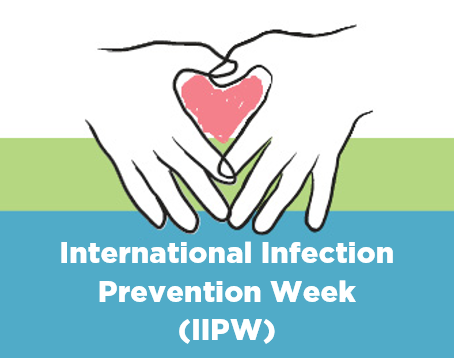 Happy International Infection Prevention Week! 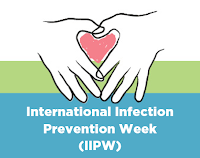 I’m sorry to say that this year at Virox we did not celebrate IIPW. I remember thinking to myself “I have plenty of time to plan”. I then remember thinking “you’d better get on this” and then this past Friday it was “crap, where did the time go?” I have no excuse, and I’m glad to see that those working at healthcare facilities have been busy celebrating and educating! If you’re on Twitter check out #IIPW2018 to see what has been going on around the world! 1. The Top 10 Offences looked at the most common mistakes or ways to misuse disinfectants. I’m sorry to say, almost 7 years after writing this blog I still see the same issues! 2. ATP – a microbiologist’s square peg discussed the use of ATP as a tool for validating cleanliness. I agree that we need to have a way to validate cleaning, but in looking at using tools we need to ensure that we understand their limitations! 3. Cotton – it absorbs more than just water discussed the ugly truth of Quat binding and its impact on our infection prevention programs. 4. PEDv Pooping Pigs Pose Pharaonic Problems discussed a new Coronavirus impacting pigs. I’m really sharing this because I think it is my best alliteration EVER! 5. Mommy, this water tastes funny shared stories of what can happen if disinfectant bottles are not clearly marked. 6. Cross Contamination Conundrum reviewed a study showing how some disinfectants wipes can redeposit pathogens back on to a surface. 7. The joys of birth and the nightmares of SSIs was one of the 5 blogs I wrote last year for IIPW sharing stories of lives impacted by SSI’s. What I enjoy most about writing blogs is that you’re never short on topics when it comes to infection prevention. In a perfect world we would never have to worry about SSI’s. In a perfect world we would have disinfectants that kill everything on contact without impacting the surfaces or medical equipment that we need to disinfect. In a perfect world we would never hear of stories where disinfectants caused harm because they were not properly identified. In a perfect world we would not be concerned about the next emerging pathogen. While we do not live in a perfect world, we do have people who are passionate about infection prevention. Thankfully, these passionate people are concerned for the health and welfare of every patient that walks through the door. For that I salute you and thank you for the work you do! I don’t believe I’ve ever tried to pull the wool over the eyes of my readers. I’ve been upfront in stating I work for a disinfectant manufacturer, and I’ve been diligent in trying to ensure the topics and content I include in my blogs are educational and not promoting of my company’s products. My belief, is that in developing the best cleaning and disinfection protocols - regardless of whether it’s for our homes, our offices, our schools, hospitals or even barns - that education, discussion, debate and even the occasional agree to disagree stalemate helps us look at the information laid out in front of us, evaluate it and draw the conclusions that are right for us and that we are comfortable and confident in implementing. There are always two sides to every story. In science, the data can and in many cases is often presented in a way to draw conclusions that we want the reader to see. As a reader, it’s up to us to read between the lines; to ensure that both sides of the story are being presented equally and draw our conclusions after looking at all of the facts. For that life lesson, I’ll be forever grateful for my Wildlife Ecology teacher from university. Why do I bring this up? Well, there was an article published in the Toronto Sun indicating there is a way to beat the bugs found in our public transit systems. I’m not going to deny, there have been a number of articles published talking about studies looking at the level of bacteria or viruses found on public surfaces. Heck, I’ve blogged about some of them: toilets, airplanes, security bins. The reason for my sharing is that we need to be aware of our surroundings. We need to know that yes, our world includes bugs, many of which can cause harm via infections. We need to be reminded that we need to wash our hands, and we need to be reminded that cleaning surfaces to remove dirt, grime and pathogens that have been deposited during the day is an important part of life. Copper and other coatings have been investigated for some time as potential aids in reducing the bioburden of bacteria in hospitals, where the concern of picking up a deadly infection is very concerning and very real. In fact, in 2013 I did a “Disinfectant Chemistry Report Card on Copper and Silver Antimicrobial Coatings”. Governmental agencies and microbiology experts have been discussing and debating for years over what testing should be conducted in order to determine efficacy of antimicrobial coatings. In fact in 2008, the US EPA proposed a protocol assessing the bactericidal activity of 21 different copper and copper alloy surfaces. Those surfaces can be registered with the claim to “kill 99.9% of bacteria within two hours”. For reference, many disinfectants kill to the same level in 10 – 30 seconds. I’m not saying that antimicrobial surfaces do not have a place. What I am hoping to get across is that they are not the silver bullet. Yes, they have the ability to kill and reduce bacteria, but what about viruses? The outbreaks that impact our cities with greater frequency and with greater impact to our life are viral based (SARS, Influenza, Norovirus etc). To highlight some of the “holes” in the use of copper coatings, I wanted to share a recently published journal article that showed a meta-analysis of the published literature on the use of copper and its alloys. The authors reviewed 257 studies and concluded that there is no clear evidence of the clinical benefit of copper surfaces. While copper surfaces have demonstrated antimicrobial activity, the implications of this activity in healthcare settings are still unclear, and no published study has been able to show a clear effect on healthcare associated infections. Another tidbit that we should find interesting is that, while copper does have a continued ability to reduce bacterial levels, there are factors that can inhibit the killing action of copper such as antioxidants, organic soil, or the repeated use of cleaning products. I think we can agree, that with the numbers of TTC riders each and every day, soil and dirt will be deposited on the copper surfaces and this soil will need to be removed with cleaning products. So what’s my opinion? 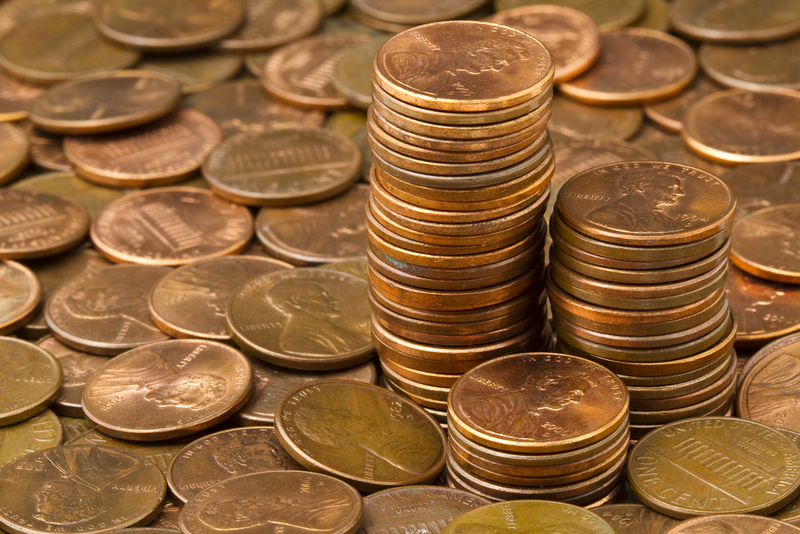 I’m not going to count my copper pennies yet. I think there is some interesting data to show that there could be some benefit to using antimicrobial surfaces like copper. However, their use and impact in reducing the spread of infections is not clear, and regardless of their use, we will dirty the areas we inhabit. This means we’ll always need to clean, which as some data is supporting, can impact or reduce the effectiveness of copper. I have no qualms about touching my eyeballs. I particularly like doing it in front of people who can’t and get all squeamish and grossed out. It’s really a good party trick, particularly around a pack of young boys. However, our eyes are more than the window to our souls. As a mucous membrane they are one of the areas of our body that can be incredibly susceptible to infections. Pink eye is a great example, that nasty infection that results in itchy oozing eyes. As a former contact wearer, the importance of infection control was not lost on me. Simple things like washing your hands before putting your “eyes” in or taking them out and keeping the contact lens container clean were incredibly important. Even though I knew this, and thought I practiced good hygiene I ended up with an ulcer in my eye. My eye doctor suspected my lens solution as the cause and whether it was an allergic reaction or an infection. I was lucky, had the ulcer been in a different location it could have impaired by vision. Why would you care about my eyes? Well, I hope you care about yours especially if you happen to live in the UK where Acanthamoeba keratitis infections have been spiking among contact lens users. The recent outbreak has UK Health experts urging contact lens users to be more careful. According to the study that was published in the British Journal of Ophthalmology, the rate of Acanthamoeba keratitis infection has gone up by 3 times since 2011. This type of infection is usually considered rare with only 2.5 people / 100,000 every year. The study found that reusable contact lens users who had eye infections were more likely to have ineffective contact lens solution, contaminated lenses and overall poor contact lens hygiene. Aside from poor hygiene, wearing contact lenses while swimming, using hot tubs or showering can also increase the risk as the amoeba can be found in bodies of water, soil and even air. Moving to disposable lenses eliminates the need for contact lens cases or contact lens solutions. However, while they reduce some risk factors the use of disposable lenses does not remove the need for proper hand hygiene. 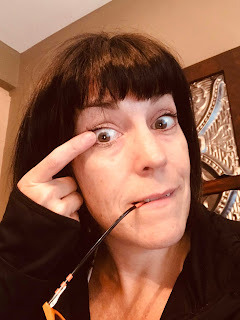 The long and the short is if you use contacts or if like me you frequently touch your eyes make sure your hands are clean before handing the contact lenses or touching your eyeball!